In this article, we look at targeting. Once you’ve realised that marketing your practice is inevitable for most practices, the next principle to embrace is the target of your marketing activities. While you’d think this was stating the bleeding obvious, the fact is your marketing must appeal to potential clients and NOT other dentists. where unfortunately, the messages badly miss the mark. In fact, I’ve often found myself wondering who the websites/ads etc were written for. It certainly wasn’t for a potential client. Don’t get me wrong, this dentist-focused marketing by dentists is quite understandable. Dentists spend all day in a dental environment living and breathing all things dental. But the fact is your potential clients do NOT live in that world. To make this concept clearer, here’s some practical examples of what I mean. Recently, a dentist excitedly told me about a new piece of technology in their office: ozonated water. They were very keen that we highlight this on their website, yet I found myself looking through the eyes of a potential client. Oh really? Ozonated water? What’s THAT? hamster’s toenail, or warthog’s scrotum about that? The only exception to this rule is to the extent that the technology makes a DIFFERENCE TO THE CLIENT. able to achieve better health outcomes in a cleaner, safer way. This is an outcome that clients might just care about, not the technology itself. Have you had your check up? – Actually, mostly, I try not to think about going to the dentist at all! Life lessons from a dentist that save you time and money – dentistry can be expensive, I wonder how they can save ME money? Remember, remember, remember in your marketing; focus on things the client cares about, not what you, or other dentists, care about. Otherwise, you might as well be talking to a wall. 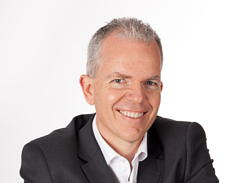 Angus Pryor is a Practice Growth Marketing Specialist, international speaker and best-selling author. 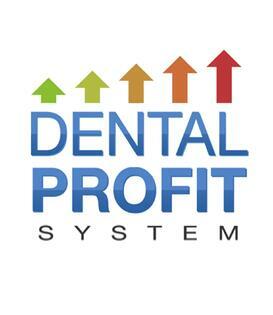 Check out his Amazon Number One Bestseller book “The Dental Practice Profit System – 5 Steps To More Patients And Higher Profits”. Click HERE to grab your copy NOW.